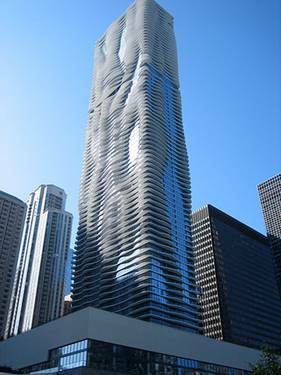 AQUA - int'l award winning iconic building! 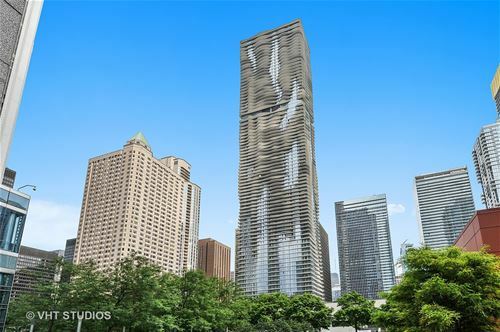 Soaring 82 stories, residences begin on the 53rd floor featuring unique balconies & stunning views! 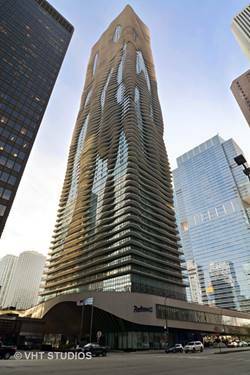 Very Rare one bedroom available!!! 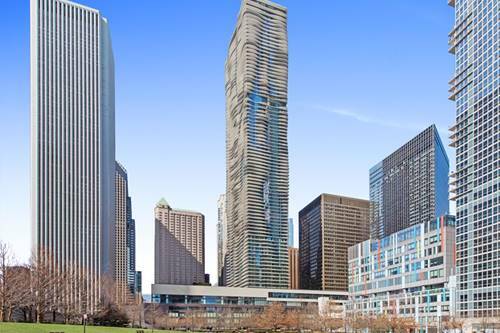 This unit offers private 27' curvaceous balcony with views of Millenium Park, Dusable Harbor, Monroe Harbor, Grant Park and city skyline! 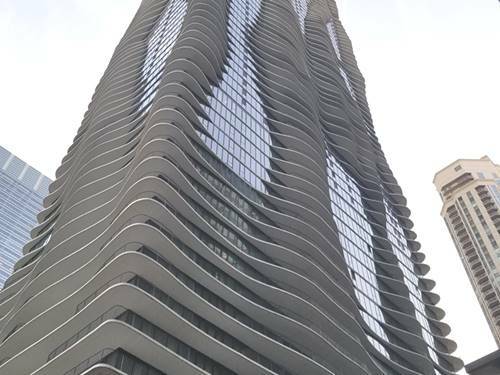 Walk to Loop, Theatre district, Michigan Ave, museum campus, Millenium Park, and more. Directly connected to the Pedway for miles of indoor commuting around Chicago. 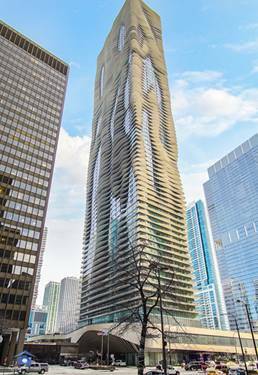 Snaidero or Fieldstone Cabinets, KitchenAid SS Appliances, Granite, Marble, Grohe, Moen, Toto...Floor-Ceiling Windows, in Unit full size W/D. Luxury Resort style Sundeck, 2 outdoor pools, 1 indoor pool, hot tubs, cabanas, fitness center, Pilates studio, private theater, business center etc. Hotel Services also available to condo owners. Parking add'l. 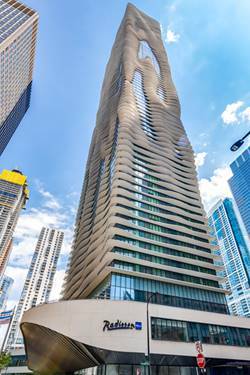 For more information about 225 N Columbus Unit 6807, Chicago, IL 60601 contact Urban Real Estate.